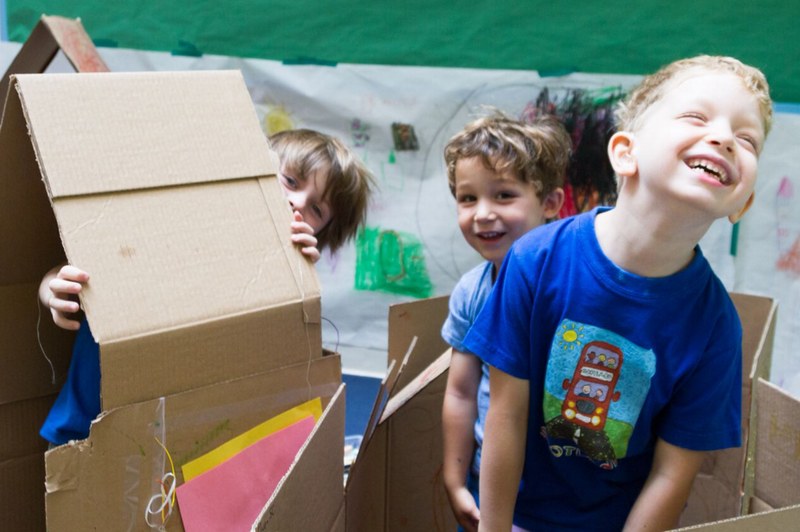 All Fours groups have a Morning Arts Block from 9:30-10:30, when art, movement, and science specialist teachers visit Homegroups on a rotating schedule. Morning Arts Block and Choice Classes meet Monday, Tuesday and Thursday for an hour. Full Day Fours select one Choice Class from Block B. Nearly Fours and Half Day Fours do not select a Block B Choice Class. Imagination Movers (Janine Bickoff) Have you ever swum with fish on the ocean floor, danced on the moon or transformed into a lion in the jungle? 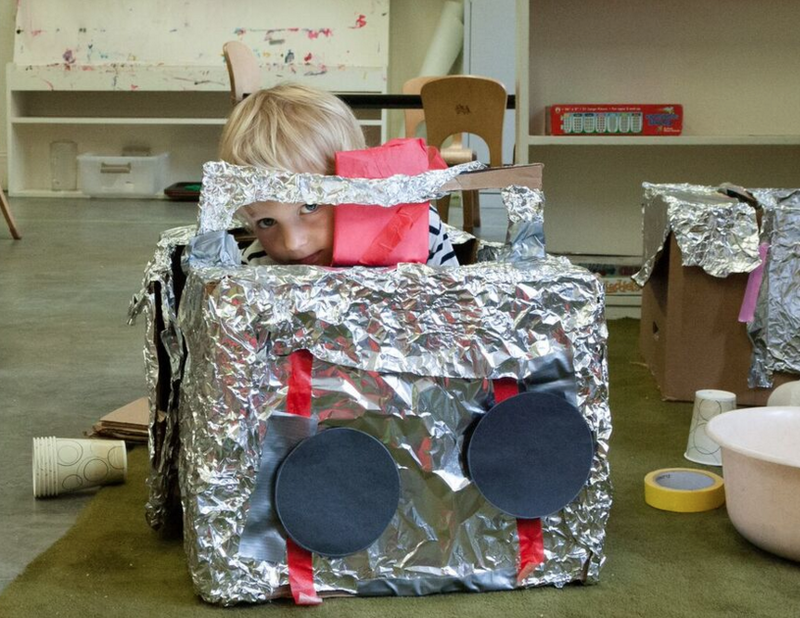 In Imagination Movers, campers will transform themselves and the space using their imaginations. We will use music, ribbons, dots, stars and our bodies to create and travel together to new worlds. Without a Paintbrush (Jaryn Stewart) Who says we need a paintbrush to paint? Using only our hands, we will paint with wild abandon, creating personal masterpieces along the way. It’s amazing what our fingers can accomplish—plus, paint feels really cool on our hands, too! 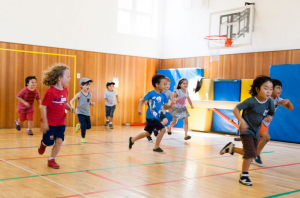 Circle Games (Janine Bickoff) In this playful and active class children will work together to explore all sorts of games! We will play games like Sneaky Bead, Musical Chairs, discover who is hiding the bone in “Doggie, Doggie, Where’s Your Bone?” and do our best to freeze during freeze dance. If you like playing games, this is the class for you! Food Art (Tara McLaughlin) Have you ever seen a grape snake or a bread bus? How about a bananasaur or cucumber dancing duck? In this class, we will make fine works of art with food! 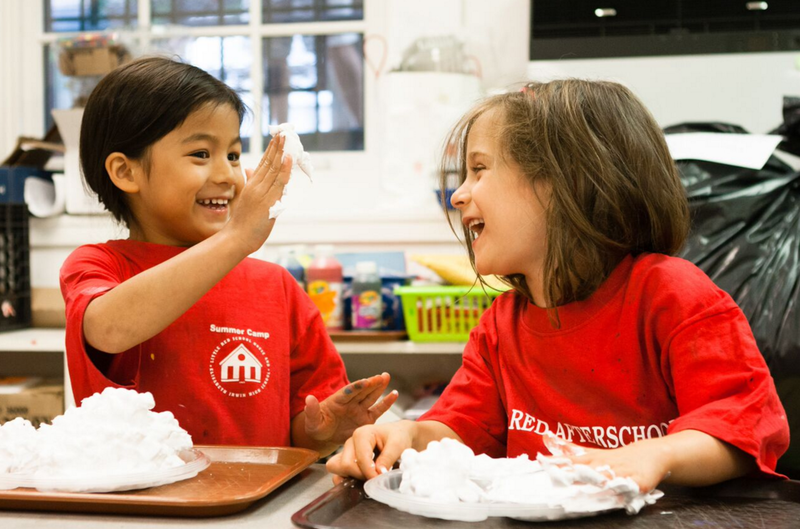 Campers will learn basic food preparation along with important safety tips all while using their creativity to make both fun and healthy art. Each class we will work on a different theme. During the session we will also create a photo journal because, well, we will eat our art! The camp day for Nearly & Half Day Foursis 9am-1pm Monday-Thursday and 9am-4pm on Friday for Field Trips. Full Day Fours meet 9am-4pm Monday-Friday. 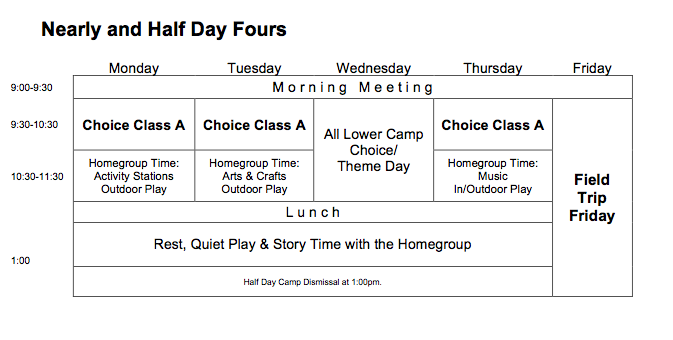 Note that the Half and Full Day programs meet in separate Homegroup classrooms. Registration is by two-week sessions. 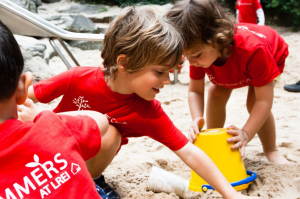 The camp program for children in the Fours includes organized activities and outdoor play in their Homegroups, daily workshop rotations of either movement, sensory, science, music or cooking, and weekly Field Trips. Please note that all campers are expected to be toilet trained. Doors open to Homegroup classrooms at 8:50am. 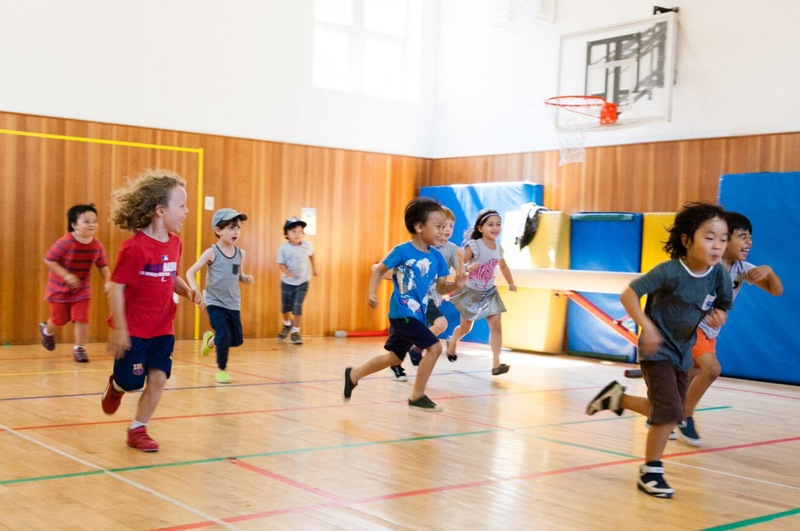 Activity stations are set up throughout the room in order to engage children in the beginning of the camp day. Parents and caregivers are welcome to stay in the classroom until morning meeting begins at about 9:10am. Morning and afternoon circle meetings open and close the camp day and may include an activity such as a song or a game, a discussion of what will be happening in the day and the week, and a time for the children in the Homegroup to get to know one another. 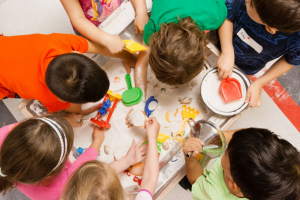 Activities such as art, cooking, and outdoor play listed on the weekly schedule at times other than Choice Class blocks take place with the Homegroup. 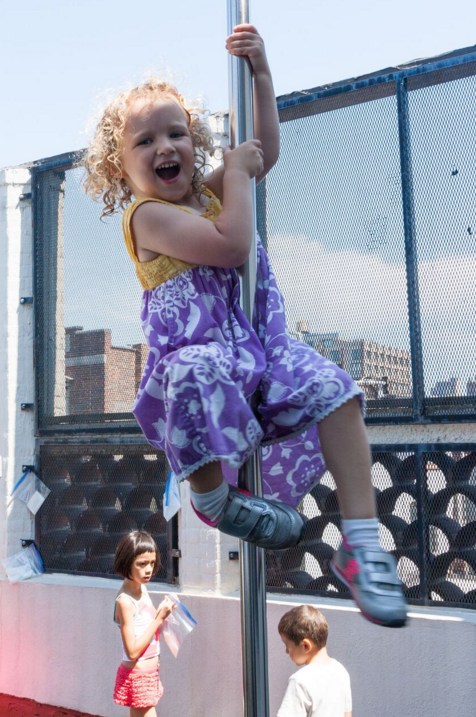 Outdoor play happens at Downing Street Park, Minetta Lane Park or on our rooftop play area. 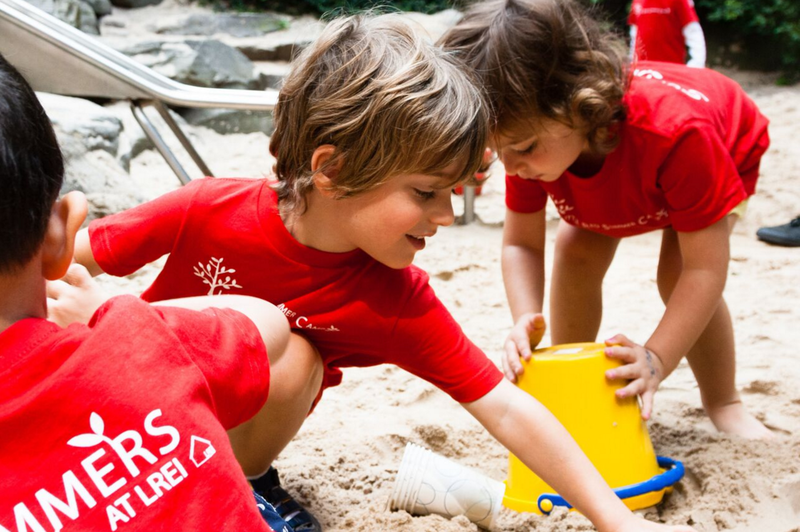 Outdoor play may occasionally include sprinkler time, so we ask all campers to bring a swimsuit and a change of clothes that they can leave at camp. Lunch is served in Homegroup rooms for Fours. A snack of fruit, cheese, pretzels, water, and juice is also provided throughout the day. 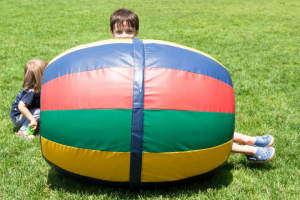 Rest time following lunch is an opportunity for children to quiet their senses and to play individually. Some may really rest, while others may look at books or play quietly. Fours may choose to bring a favorite stuffed animal, book, or blanket to have with them during rest time. Full day Fours also sign up for a Choice Class during Block B during General Registration, in advance of the camp season. Block B Choice Classes meet outside of the Homegroup rooms in the afternoons on Monday, Tuesday and Thursday for an hour each day over the course of a two-week session. Different classes are offered each session. Classes are taught by Specialists, Head and select Associate Counselors. 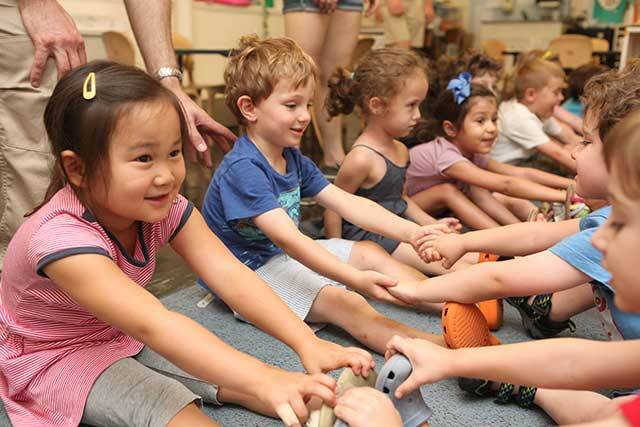 Fours classes take place both inside and outside of the Homegroup room and are open to the participation of children in all Fours groups. 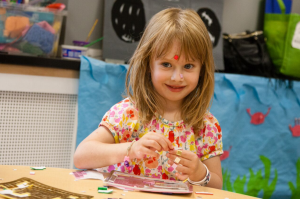 During Block A, each Homegroup is visited on a rotating basis by a visual art, music, sensory, or movement Specialist for an hour each morning on Monday, Tuesday, and Thursday. Note that Half Day Fours and Nearly Fours participate in Block A activities only. On Wednesday mornings, children from all Fours and Fives Homegroups gather together for age-appropriate activities, such as mural-making, a dance party, making a marching band, or a special cooking project. This is a fun chance for children to interact with different Homegroups. It is also a good opportunity for friends in different Homegroups to spend time with each other. Wednesday afternoons (Full Day Fours) are set aside for collaborative projects and activities with other Homegroups in the camp or for more extended Homegroup activities. The second Wednesday of each session is a theme day, such as “The Shrinking Machine,” “Little Red Rocket Ship” or “Big Green Meadow.” Camp-wide activities on those days are based on the theme, and each camp group chooses how it will participate in the theme. 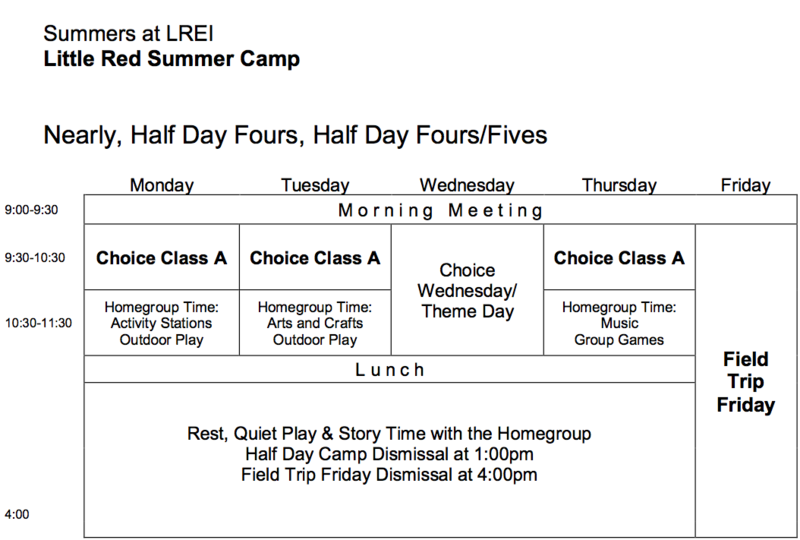 On Friday, all Fours groups attend camp from 9:00am to 4:00pm in order to go on Field Trips. 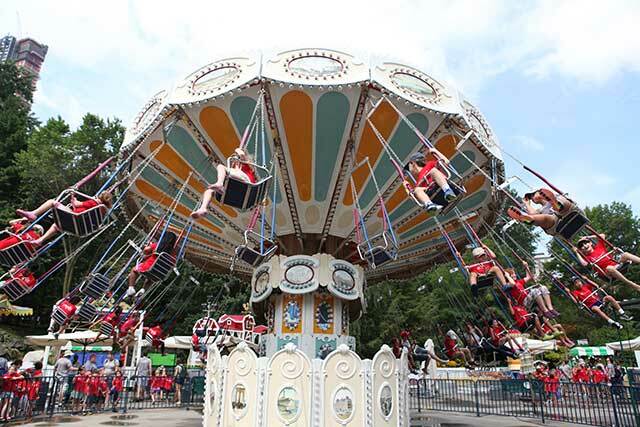 We travel by chartered bus to locations such as the Green Meadows Farm and Central Park Zoo and Carousel. 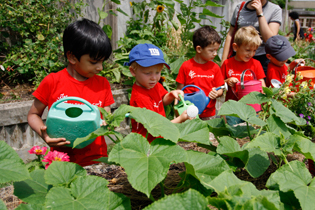 Our goal for Field Trips is to take the campers to “green,” natural spaces. We have a 1:3 or 1:4 counselor to camper ratio for Fours on Field Trips. All Fours groups, including those registered for Half Day Homegroups attend camp for a full day from 9:00am-400pm once a week for a field trip. Trips take place on Fridays. We take air-conditioned, chartered buses to age-appropriate locations for activities that are educational and lots of fun. Our priority is to take trips that give campers the opportunity to be in a natural setting or a museum worth exploring as a group. In order to maintain a very safe adult to camper ratio, Specialists accompany home groups as additional adults on field trips. 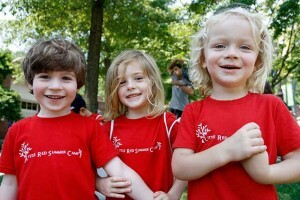 For Fours on trips we maintain a 1 to 3 or 1 to 4 counselor to camper relationship. For this reason, we do not ask for parents or caregivers to accompany groups on trips. Choice Classes take place every Monday, Tuesday and Thursday for one hour and meet six times over a two-week session. Classes are selected during online General Registration. 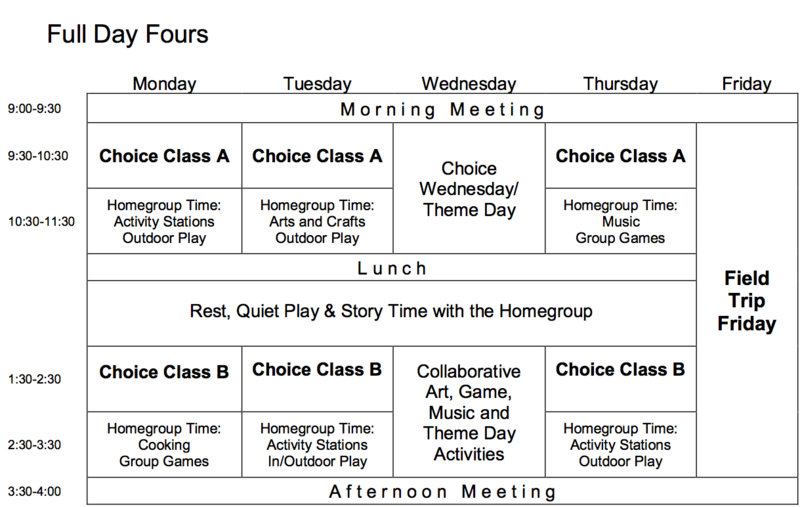 Nearly and Half Day Fours do not select Choice Classes. Full Day Fours select one class from Block B. Full Day Fours and Half Day Fours have a Morning Arts Block from 9:30-10:30, when art, movement, and science specialist teachers visit Homegroups on a rotating schedule. Morning Arts Block meet Monday, Tuesday and Thursday for an hour.